Happy Rattlesnake Friday! Yes, it isn't a Rattlesnake, but it is a venomous snake! The only snake as well known as a rattlesnake is a cobra, but not all cobras are made alike! 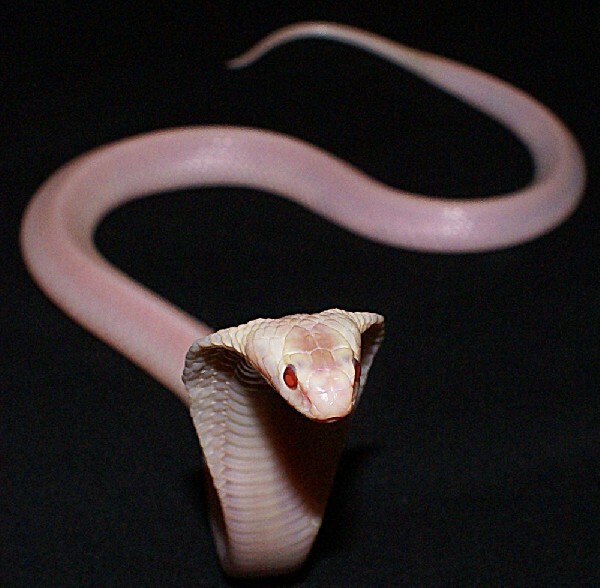 Some stand out like this red eyed leucy Monocled Cobra in our photo of the day uploaded by kingsnake.com user eekster ! Be sure to tell them you liked it here! As always on Friday, we celebrate all of our venomous reptiles for their contribution to the world. It is our goal to help dispel the fears surrounding our beloved venomous creatures.